a stand-out piece from the show. the sheer silk-chiffon trims that give this fabulous piece a delicate finish. a wide, flared skirt and a strapless bodice. 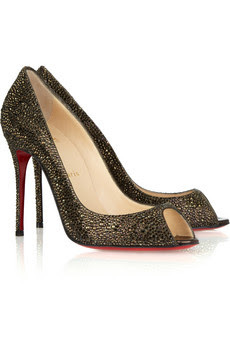 peep-toe pumps, to add the trademark glossy red soles. What a gorgeous dress. I love the fit. Hope you have a fabulous, blessed Easter. Just stunning! This has my name written all over it!! Going to Paris in June and would LOVE to take this outfit. 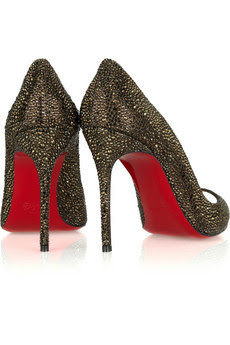 Don't you just adore the glossy red sole?! !